Lined with ancient tombs and shrines, the street of the dead is found in the Shah-i Zindah necropolis in the oldest part of Samarkand. The most sacred shrine is that of Prophet Muhammad’s first cousin Qusam. One of the greatest nomadic conquerors in history, Tamerlane had many of his female relatives buried there. 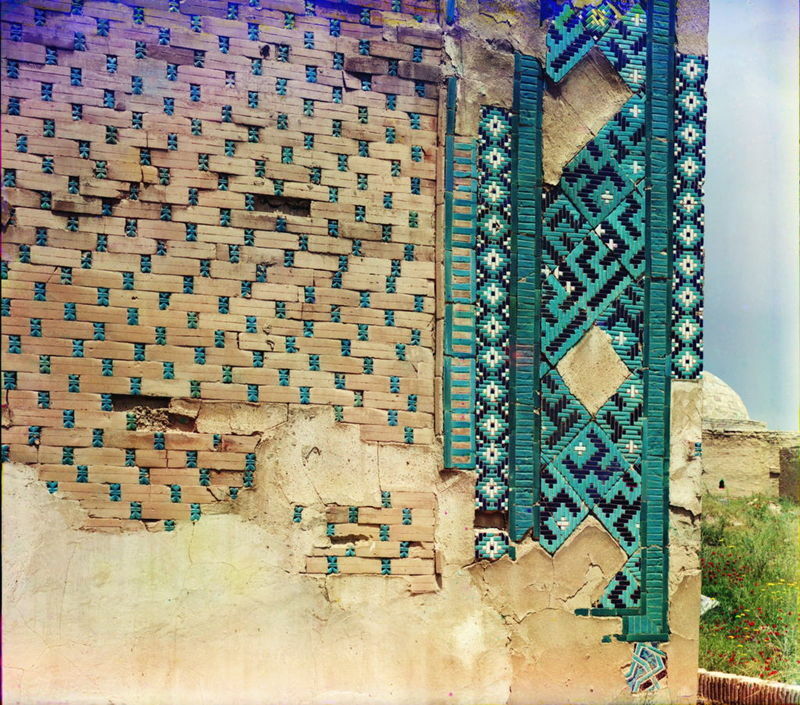 Underscoring the hallowed character of the place, the wall of an unidentified mausoleum at Shah-i Zindah is decorated with devotional writings in Square Kufic script. Square Kufic is a unique geometric form of Arabic script that was developed in the early Middle Ages. The script can be easily rendered in tiles or brickwork to decorate the walls of mosques and mausoleums (as shown here). It does not even resemble a script, however, and deciphering it can be extremely difficult even for those literate in Arabic.